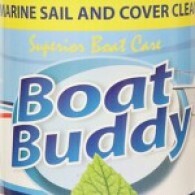 Boat Buddy boat care products deliver amazing results without the usual hard work. 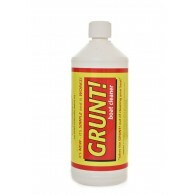 Concentrated Citrus Cleaner for all interior use Breaks down and dissolves oil, grease, diesel and general unwanted bilge contents. Cleans engine bays, lockers, galleys and heads. 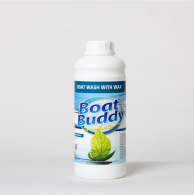 Deodourises and leaves pleasant citrus fragrance Self cleans with the motion of the boat if left in th..
Removes yellow/brown waterline stains, rust stains, bird lime, lime scale and other ingrained dirt and staining from gelcoat, timber and steel painted surfaces. Gel formula for easy application to vertical surfaces. Magically absorbs stains Simply paint on – leave for 30 – 60 minutes and rinse!! .. Synthetic Wax for full, all-over protection Using the latest nano technology, seals & protects surfaces against further staining. Contains “Montan” for a superior finish than conventional waxing, no back breaking muscle aching buffing. Lasts up to 5 times longer than conventional wax. Polish.. 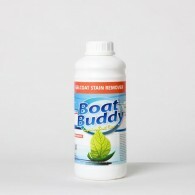 Concentrated Boat Wash for all surfaces Removes grease, oil, moss, algae, soot, fuel spillage, general dirt and surface staining. Strips off all old wax polish. 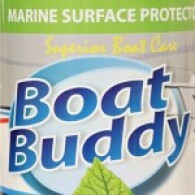 Can be used neat for stubborn stains Highly concentrated – 1 litre of product makes up to 50 litres of boat cleaning wash. No..
Polish and Wax to restore and protect dull faded Gelcoat and Paint Using the latest nanotechnology restores colour, gloss and lustre to dull faded fibreglass and painted surfaces. Removes light/medium oxidisation Contains “Montan” for a superior finish, sealing and protecting against further st.. 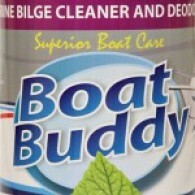 Concentrated Cleaner for Sails and Covers Removes: Algae, dirt, grease, soot and most other stains. 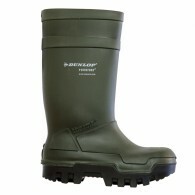 Effectively cleans all sails, covers and fabrics. 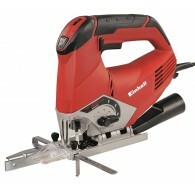 Highly concentrated, 1 litre of product makes up to 30 litres .. 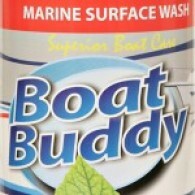 Concentrated general Boat Wash containing liquid wax Cleans and protects between full valets. 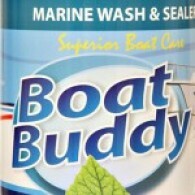 Non streaking formula Contains liquid sealer to protect the surface Repels water and dirt effortlessly Will not remove protective wax coating on surfaces Highly concentrated, 1 litre of prod..
Grunt boat cleaner is designed to make cleaning those nasty stains from your boat an easy task, so easy in fact you wont believe it! 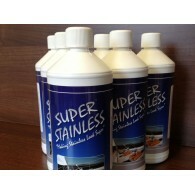 Grunt boat cleaner penetrates into the pores of the gelcoat and using a mild chemical reaction gently neutralises and magically absorbs the staining without affecting..
Super Stainless – the easy and effective way to remove unsightly rust staining and corrosion from your stainless steel leaving your stainless spotless. Contrary to widespread belief stainless steel is not actually stain free and rust staining and corrosion can, and does, occur on the surface. ..